Your step-by-step guide to understanding business goals, choosing the right team, defining requirements, and evaluating intranet solutions. A social intranet’s fundamental value is that it gives every employee a face and a voice. This shift in internal communications results in a show of respect and trust that can foster meaningful and lasting improvements in employee satisfaction. 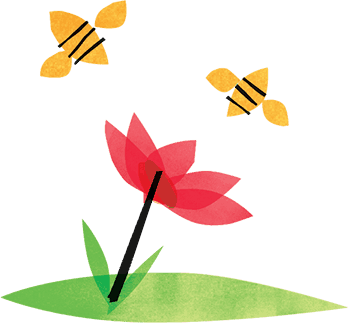 Summer picnics and annual recognition programs on their own don’t cut it, and will never offer the authentic and persistent value of a social intranet. Research: Extensive references to research from Gallup, Aon Hewitt and other renowned organizations. Expert insights: Interviews with experts from the fields of employee engagement and HR, internal communications and social intranet design. Real-world examples: Stories and screenshots from companies experienced with social intranets. 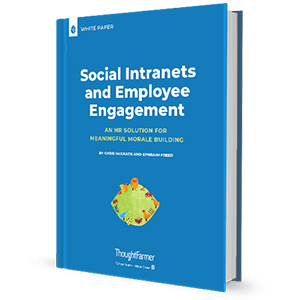 Best practices: A list of best practices for implementing a social intranet aimed at improving employee engagement. Have questions? Get in touch. We're always happy to help. ThoughtFarmer, a product of OpenRoad ©2018 OpenRoad Communications Ltd. All rights reserved.